QUICK JUMP: Contestants Pageant Information How to compete in Miss Silver State USA & Miss Silver State Teen USA 2018? The 2018 Miss Silver State USA and Miss Silver State Teen USA pageant concluded with Tianna Tuamoheloa winning the title of Miss Silver State USA 2018, Ciana Pelekai winning the title of Miss Silver State Teen USA 2018, Jade Johnson winning the title of Miss Clark County USA 2018, Gracie Rayner winning the title of Miss Clark County Teen USA 2018, Lan Do winning the title of Miss Las Vegas USA 2018, Rayne Allred winning the title of Miss Las Vegas Teen USA 2018, Jaden Osbourne winning the title of Miss Tivoli USA 2018 and Erica Bonilla winning the title of Miss Tivoli Teen USA 2018. They also won the opportunity to represent their titles at the 2019 Miss Nevada USA and Miss Nevada Teen USA pageant. 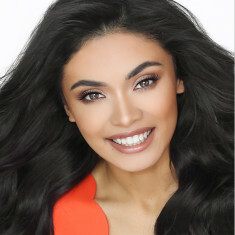 The winners of Miss Nevada USA and Miss Nevada Teen USA 2019 represent Nevada at the 2019 Miss USA and Miss Teen USA pageant. How to compete in Miss Silver State USA?